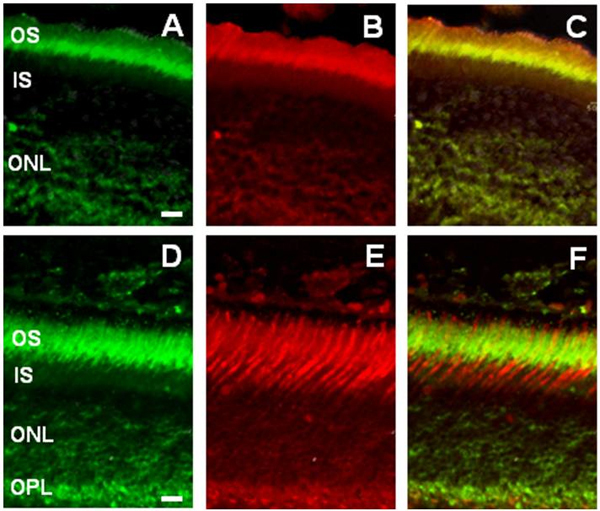 Specifically, this study reports type 1 melatonin receptor (MT1) mRNA localized to photoreceptors, neurons in the inner nuclear layer as well as ganglion cells, suggesting roles for MT1 receptors in retinal physiology. Melatonin modulates physiology through interactions with G-protein-coupled receptors that are negatively coupled via adenylate cyclase. This study suggests that in addition to melanopsin containing ganglion cells which have been well described, circadian regulation potentially involves many additional retinal cell types including rod and cone photoreceptors and intrinsically photosensitive ganglion cells. However, it may also reveal the existence of additional circadian rhythmicity mechanisms that have accumulated through evolution, though this paper does a nice job of describing MT1 signaling in photopic ERG, but does not identify it in the retinal dopaminergic circuitry by suggesting that dopamine turnover does not drive the photopic ERG circadian rhythm.